The current El Nino event ended at the end of July 2016. Due to change in Climatology from 1981-2010 to 1986-2015 there was a change in the date as to when a full fledged El Nino was confirmed which was at the end of February 2015 considering the SST departures from average in the Niño 3.4 region based on Extended Reconstructed SST – (ERSST.v4). The graph below shows that at the end of October 2016 there have been two 3-monthly seasons JAS 2016 at -0.6ºC & ASO 2016 at -0.7ºC having La Nina threshold. Technically a full fledged La Nina can not develop during the year 2016, relying on the official NOAA definition for La Nina, because there are now only two 3-monthly seasons left after October 2016. 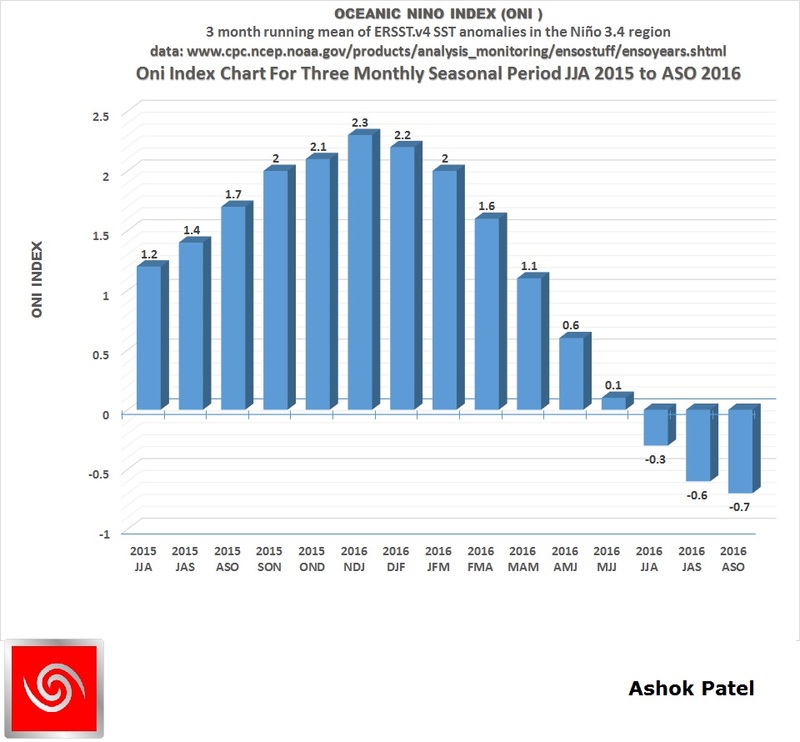 Oni Index for JAS 2016 was -0.5ºC and ONI Index for ASO 2016 as -0.7ºC, both are below -0.5ºC, the La Nina threshold which has been reached for just two consecutive 3-monthly seasons. Overall ENSO neutral conditions prevail till end of October 2016. 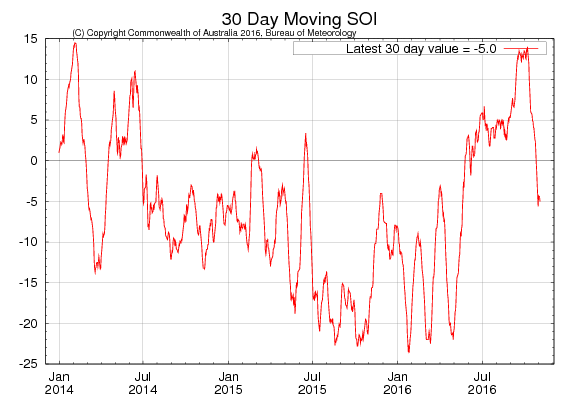 The latest 30-day Southern Oscillation Index (SOI) to 3rd November is -5.0 within the neutral ENSO range. SOI values have been plummeting from the high of +14 reached in first week of October 2016. Currently there is a disconnect between SST anomaly and SOI. SOI Monthly graph up to October 2016 as per The Long Paddock – Queensland Government. SOI was -4.51 at the end of October 2016 and -4.44 on 4th Novemberr 2016 as per The Long Paddock – Queensland Government. 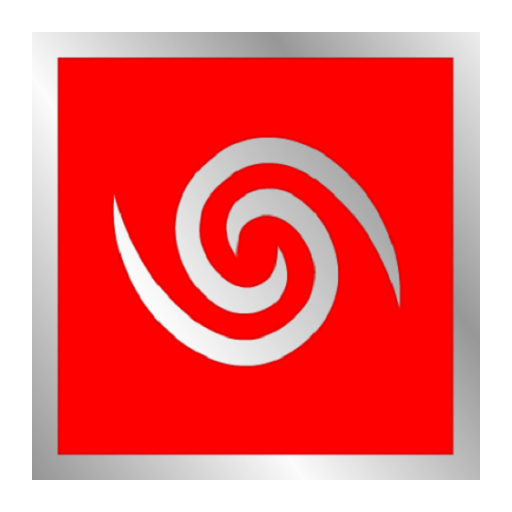 The tropical Pacific Ocean remains El Niño–Southern Oscillation (ENSO) neutral. Most climate models predict SSTs will remain cooler than average, but ENSO-neutral, through until the end of the 2016–17 summer. Only two of eight models suggest brief, weak La Niña levels may occur towards the end of 2016. The ENSO Outlook remains at La Niña WATCH.